How is it that you can lose a hockey game 9-to-3 and still walk away feeling great? The answer is that in life, winning isn’t the only way to move forward. At work, I’m Redbooth’s CEO. But when I climb off the ice in my skates after a game, I’m another exhausted hockey player. Despite the fact that we lost the game, I was also energized and excited. When the going gets tough, you either step up or you don’t. And when you do, you learn some useful lessons. 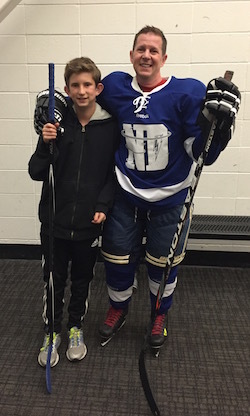 Here are some of the more valuable lessons that I learned on the ice after a recent game. Whether you’re gearing up to raise another round of funding or simply take on a personal challenge, maybe they’ll be useful to you as well. 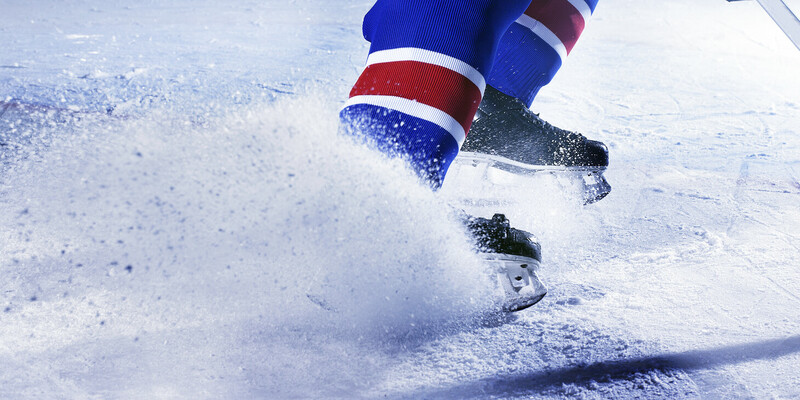 On the ice, and in business, you may not always think you’re going to win. But I can assure you that you’ll never have a chance unless you go for it — full force. Over the course of this game, we managed to win back the puck in many situations where we didn’t even think it was possible. We never gave up. Each experience strengthened our team’s resolve and built our skills a little bit more. If we had said, “Oh, don’t bother…” we would’ve missed those opportunities. Even when the odds are against you, never stop trying. Don’t let go of your motivation. The bottom line is that it’s all in your attitude. If it’s negative, you’ll never win. If it’s positive, anything could happen! Just minutes into the game, a puck came to me after a face-off…and ended up between my skates. Before I could get to it, the other team snatched it out and quickly shot it into our own net. The goal was 100% my fault. Ouch. I was upset, but knew that I had to shake it off, maintain an air of confidence, stay positive and remain focused on the game. After a few moments of internal monologue and self-reassurance, I was fully back in the game and giving it 100%. In the past, a refusal to move past mistakes like this has diminished my effectiveness on the ice. In this case, though, determination to bounce back faster turned it into a personal victory. I was given the puck six, maybe seven times on the ice during the game. If you give it your all every time, eventually you’re going to score a goal. Posing for a post-game photo with my biggest fan. I’ll admit it: not all of my shots were great. Sometimes I waited too long. Sometimes it wasn’t accurate enough. But sometimes it all came together and it was terrific. Nobody gets it right every time, on or off the ice. But every time an opportunity gets handed to you, you’ve got to make the most of it. Don’t just measure your results based on the outcome — look at it as building your character. Your team will learn that when they send an opportunity your way, you’ll never take it for granted or phone it in. A lot of times in hockey, people stand behind the opponent’s net. There isn’t a worse place to stand in the entire rink! How many times has somebody scored from behind a goal? In business, if you’re not in position to win, it’s simply not going to happen. Always be ready, prepared, and in a position where you can execute quickly. Whatever situation you may be in — closing a big deal, hiring a key employee or securing funding — if you’re prepared and in position to win, it’s much more likely to happen. Always keep your eye on the big picture. Chance favors the prepared! 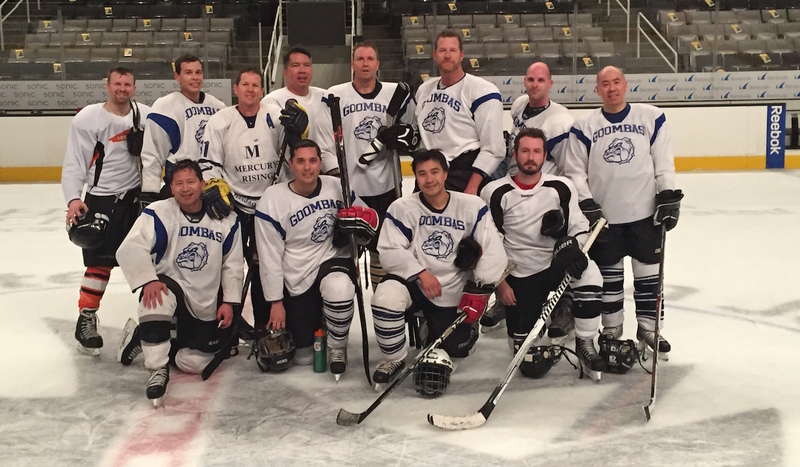 We practice and play our games at the SAP Center, home to the San Jose Sharks. On our team, we’ve started to recognize that everyone on our team has a strength. Some of us are great at shooting, some of us are really fast, some of us are big and intimidating. In business, you need to recognize every member of your team and leverage their strengths. The sum total of your team’s collective strengths is probably much stronger than you realize. In our game, we rallied as a team and offered positive reinforcement to each other. We came back from initial setbacks to score 3 goals — not enough to win, but a lot more than zero. And in our next game, that same sense of teamwork and collaboration will help us win. When the going gets tough, you’ve got to rely on your team and leverage their strengths. Of course it’s fun to win. But recognize that even when you don’t, you can still emerge having learned a lot, having built a stronger team, and having become stronger and ready to be more successful next time. I believe that we never stop learning along the way, especially if our eyes and minds are open to it. Wishing you lots of success with you and your team, on the boardroom, at your office, and on the ice.